CLE's problems are not the failings of its management, the government, or the airlines. It's the people's fault. They don't see the need for a world-class airport. Air travel is an elitist pursuit. Here are some pictures of the new ground transportation system in place. 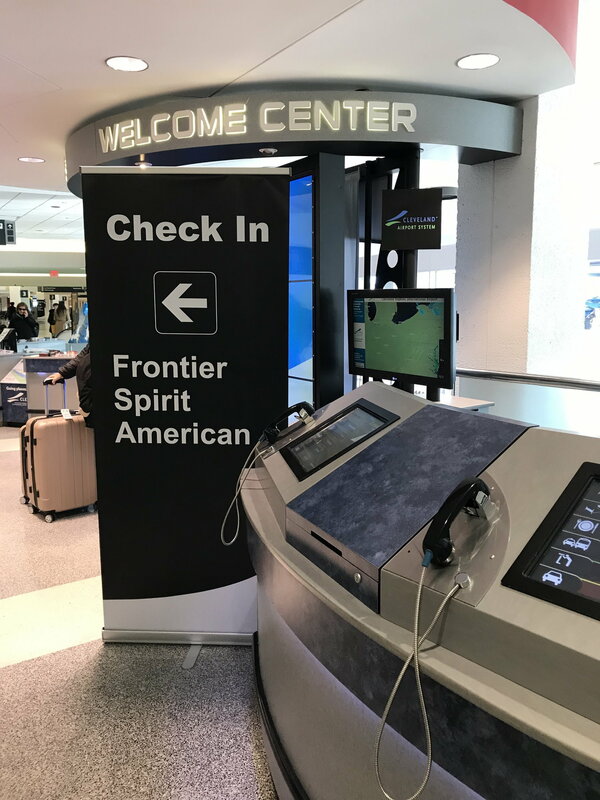 Note the number of new signs/banners located throughout the terminal, some of which are rather confusing or misleading. 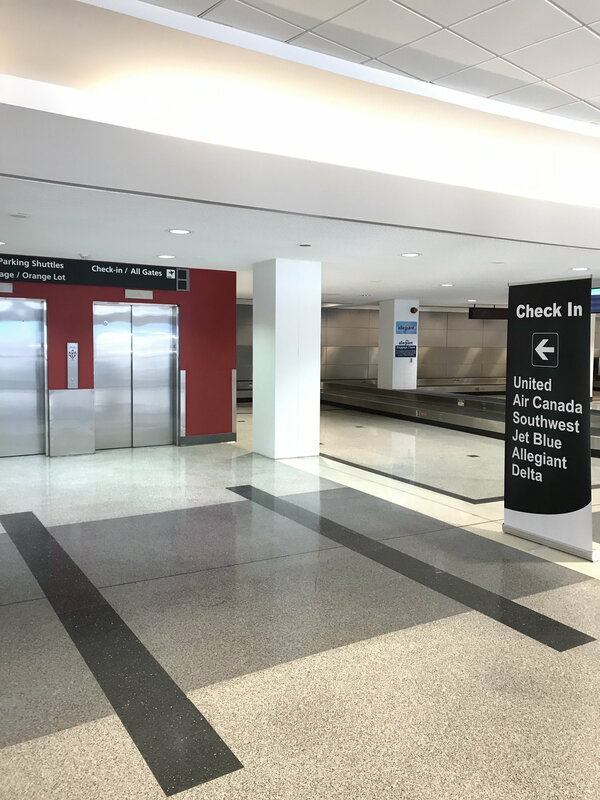 New passenger drop off area (former taxi stand). Happily, there are personnel there to assist with directions and wheelchair assistance. 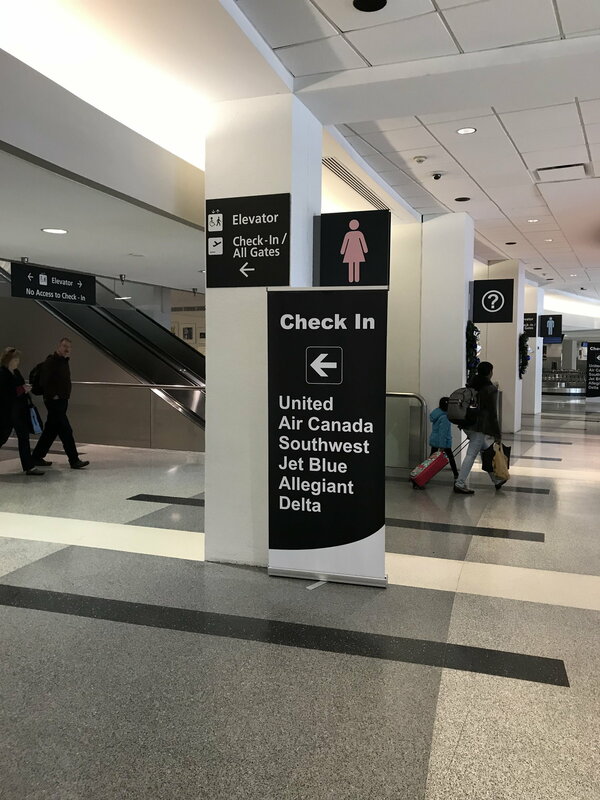 Poor signage directing dropped off passengers to central elevators rather than to the left to the elevator or escalator for check-in for UA, AC and WN. Directions to new taxi stand. Signage right inside door from rental car shuttle near carousel #6 directing passengers to elevator for check-in for listed airlines. Sign near carousel #5 directing passengers to elevator for check-in for listed airlines. 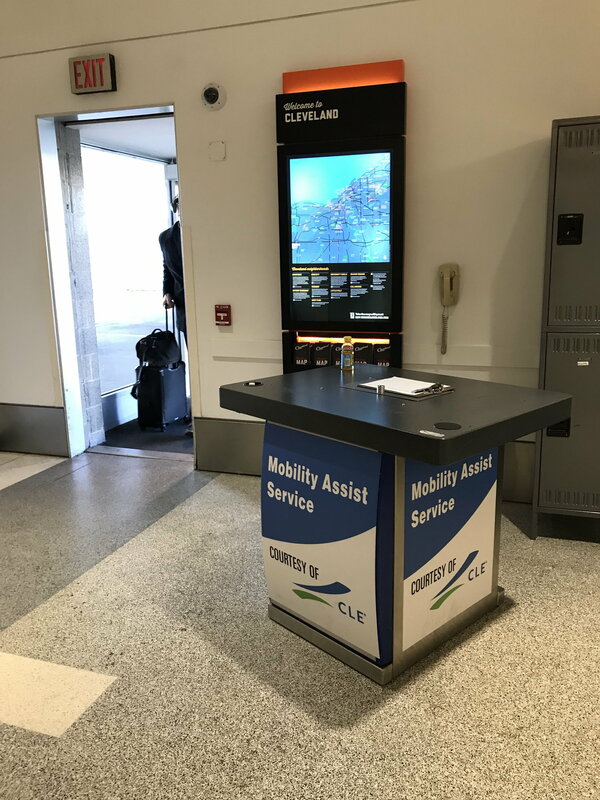 Poorly-placed sign in the center of baggage claim that's supposed to direct passengers to the escalator between carousels 2 & 3 for check-in. 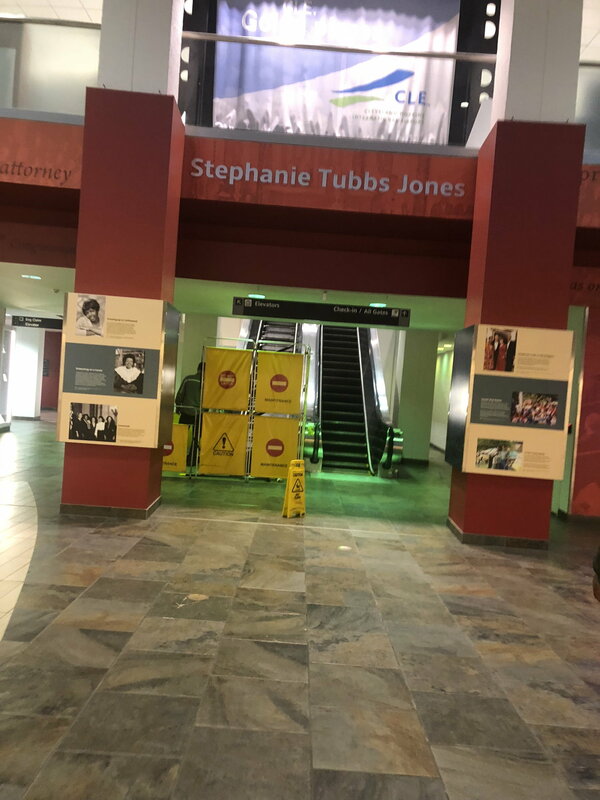 There is an identical banner near the said escalator (in left corner of pic). In typical CLE fashion it's a cluster...thing. I got home from my first trip of the year just before Midnight Friday (sitting in the ORD UC on trip #2 as I type this but I digress...) and the first Park Place shuttle departed 100% full with "another shuttle right behind me" -- appeared 15-20ish minutes later, by which time more than another shuttle full of passengers arrived (leaving 3 behind). The driver -- one of my regulars -- said all of the Uber traffic at the checkpoint was to blame and that it was a "horrendous mess". Since I'm out of town for 11 days on this trip my wife dropped me off curbside this afternoon and it certainly hasn't seemed to make a noticeable change in traffic on the upper roadway, at least. (As my wife noted... if they really wanted to do something they'd fix the terrible traffic flow that requires a last second jog to the only through lane to avoid winding up in valet land. Yet again the airport has found a way to make traveling through it more miserable without any apparent tangible benefit. I wonder what idiotic idea will be next. Any votes? I feel like moving TSA PRE to the A end of the terminal would be a logical* move. Not sure what the Uber/Lyft pickup area, which hasn't changed in almost 3 years, has to do with parking shuttles. It could have been a particularly busy evening? This seems to be a capacity/staffing problem of Park Place, not an issue with CLE. But I do agree that the location of the valet parking is less-than-ideal. But where should they move it to? Seriously-any ideas? 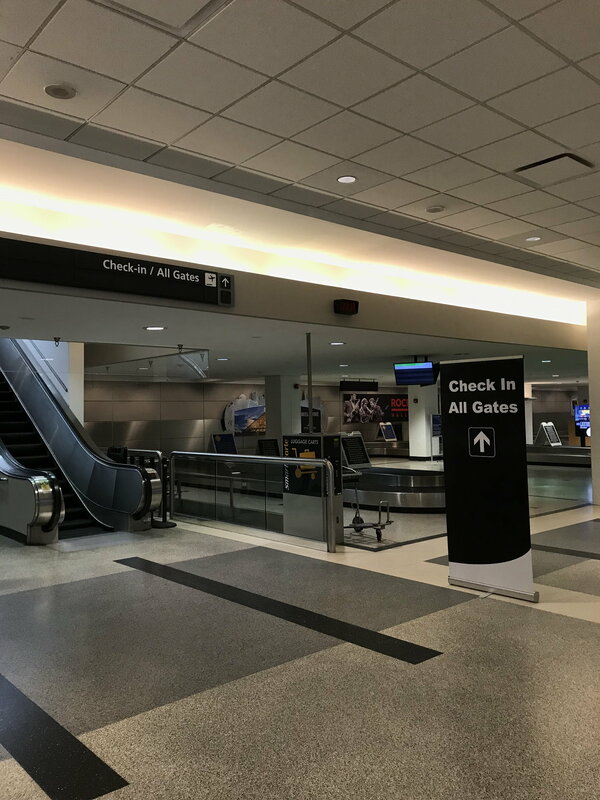 Remember we're stuck with essentially a 60+ year-old overall airport layout and a 40 year-old terminal and roadway system (the upper roadway is essentially an aging bridge that forms the roof of the baggage claim level-another reason CLE has wanted to move large vehicle traffic off of the terminal roadways). I sure hope the new airport master plan will address these issues and come up with a BIG FIX option (as Kennedy intimated in an interview last year), i.e. a brand new terminal and roadway complex. A new terminal and relocated roadways should have been done years ago. The city running the airport has been a big issue. Over the years so many inexperienced and unqualified people running the airport. guy44134 and JimInOhio like this. I recall CO did say why they discontinued CLE-LHR service. They had limited slots available at LHR and they were able to make more money by dedicating all the slots they had to EWR and IAH. ortunities at LHR to take advantage of. With the additional DL flights adding BOS not far behind UA in departures why can’t they add a direct Paris flight. Pittsburgh flights ended not sure why it did not work. DL from CLE will serve ATL, LGA, BDL, RDU, DTW, MSP, JFK, SLC, and BOS. Realistically, Delta cares about Boston, not Cleveland. For all practical purposes, they're adding Cleveland as a destination from their focus city Boston and not the other way around. CLE escalator operations back to NORMAL status. LOL, unbelievable. 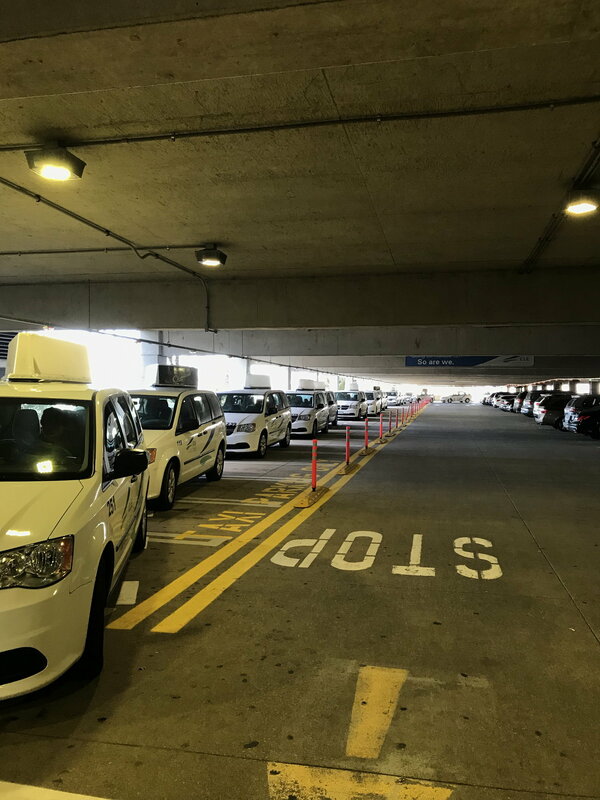 You should send that pic over to the Fox 8 I-team so they can ask the airport director how this is impacting customers using the new taxi stand at the ground transportation center. Just announced BOS flight ending 3/7. Delta will pick this route up. United is dropping BOS, Delta is adding it, and JetBlue remains on the route. 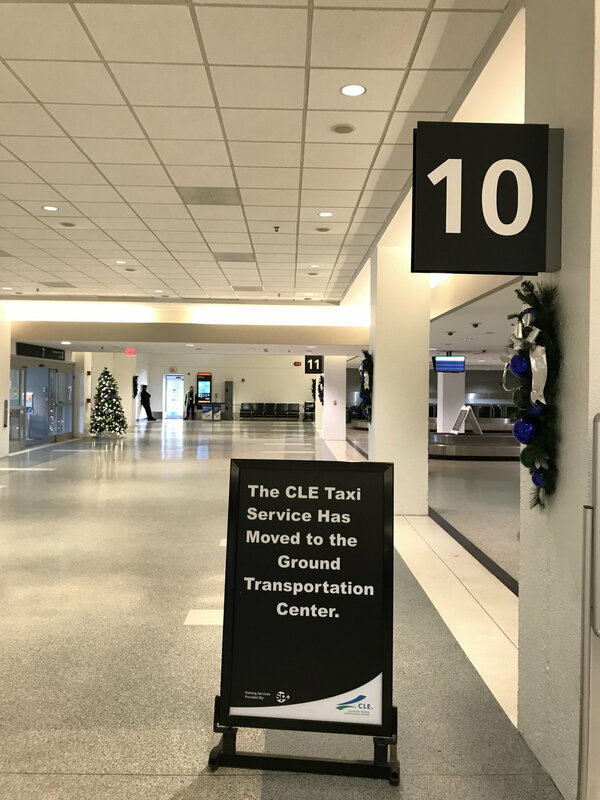 Official year-end traffic figures were released for CLE, with 9,642,729 passengers served in 2018, a 5.5% increase over 2017, and more than any year since 2009. Kudos to the shuttle driver at Fast Park who gave me a jump at midnight in the subzero temperature. Excellent service! RNE, dergon darkhelm, JimInOhio and 1 others like this.